These beige earrings are a part of the new Joasou collection containing tassel earrings in hot summer colors. Some of them are already sold out but I will add some new pieces in the next days. These handmade tassel earrings created from beautiful faceted hematite beads and the soutache braid. 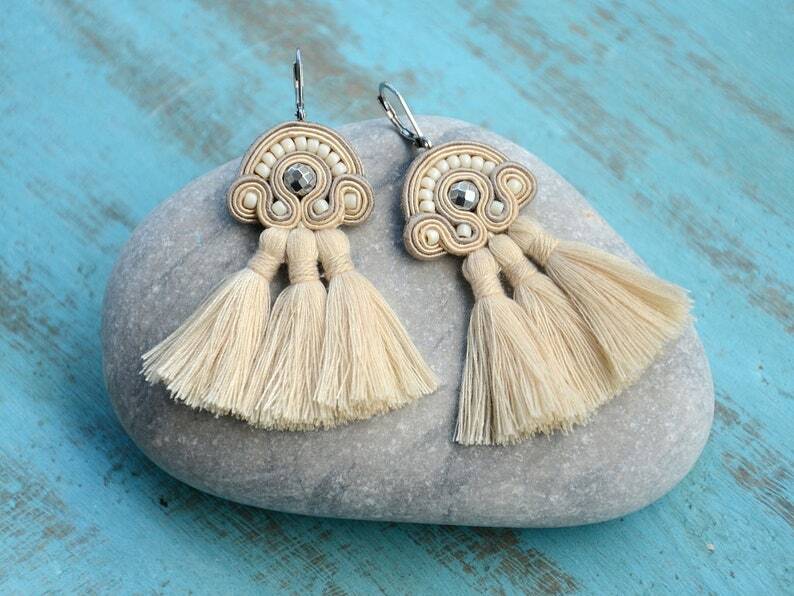 Unique and eye-catching, these earrings are a perfect add-on to a summer outfit. An eco-friendly jewelry gift box is included. Die Ware in tadellosem Zustand erhalten, jederzeit wieder!